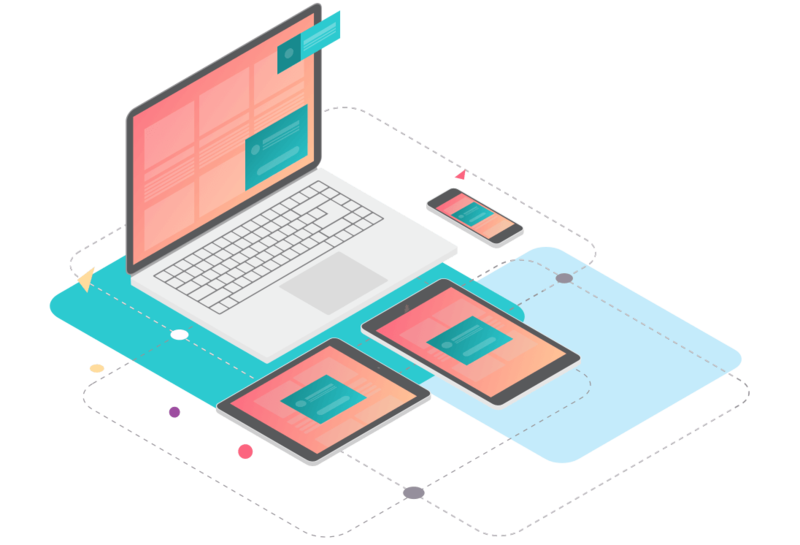 Build automated marketing campaigns that scale with you, whether you have hundreds of users or billions. If you can get a better understanding of your existing customers, you can cross-sell and up-sell more effectively. CleverTap gives you the real-time insights needed to quickly test the impact of your marketing efforts. Marketing automation saves you from the tedious task of manually building deep links for each segment. E.g., Send social followers to a deep link on the blog, and discount email recipients to a deep link for a promo code in the app. Automate it! CleverTap stands above other mobile marketing automation tools with its efficient tools for building and visualizing user journeys. Plus, orchestrate omnichannel campaigns for multiple user segments in a single workflow. 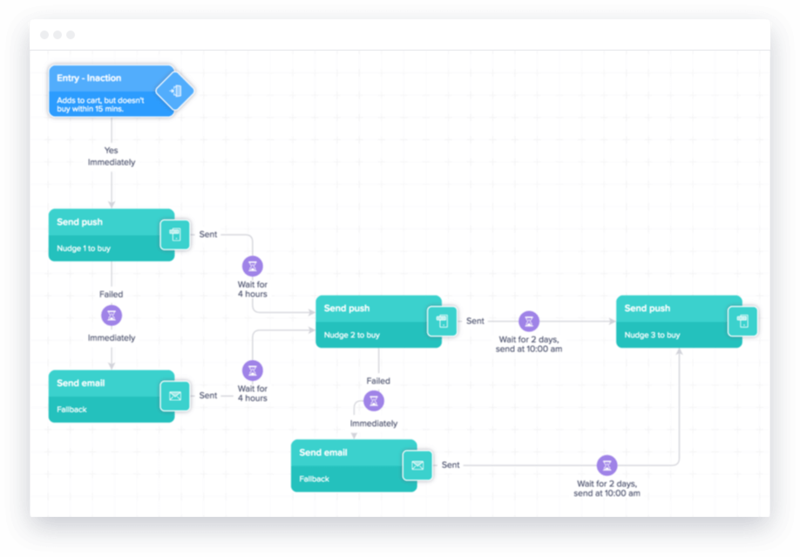 With Flows, visualize how users interact with your app so you can reach users on the right channel at just the right time. Learn more. Hook new users by automating an onboarding sequence that takes away the difficulty of handholding customers. Learn more. Bring back users who haven’t used your app by sending out omnichannel engagement campaigns after a specific length of time. Learn more. Easily connect with those who’ve uninstalled by automating an email or SMS campaign to ask for feedback. Learn more. Marketing automation for mobile apps isn’t just about chatbots or AI. It’s about creating a system that takes care of tedious admin tasks so you can focus more on running your business. Get out-of-the-box campaign templates to quickly increase app adoption & engagement. Learn more. Explore your data better with a tool that helps you slice and dice it visually. Learn more. 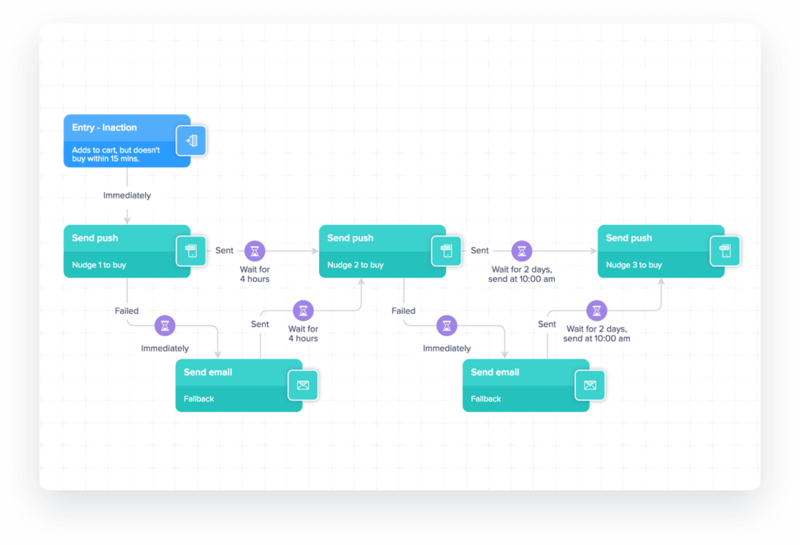 Build your omnichannel campaigns via a visual, drag-and-drop editor. Learn more.